More than 70 acres of lush tropical forest, with an authentic Balinese-style villa commanding expansive views from a hill above the island’s main beach, Richard Branson’s Necker Island is a true paradise in the Caribbean seas. 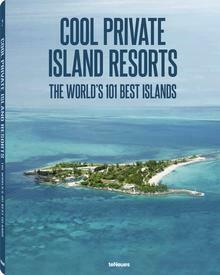 Accommodating up to 28 people, Necker is one of the world’s most expensive private island rentals, starting at USD $54,000 per night. With the island’s rental, guests enjoy a luxurious all-inclusive experience that includes all gourmet meals, champagne and other beverages, and a staff of 60 to cater to every need. It’s no wonder, then, that the gorgeous Necker is no stranger to celebrity guests, which have included Princess Diana, Oprah Winfrey, Robert De Niro, and countless other stars. 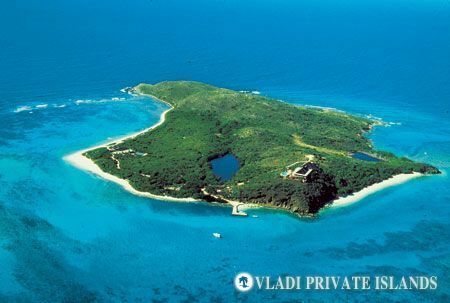 An ideal place for a wedding that would suit even the most extravagant tastes, in 2007, the island hosted the nuptials of Google founder Larry Page and wife Lucy Southworth, a vast 600-person event that spilled over Necker onto nearby Virgin Gorda. On Friday, July 15th, 37-year old Nick Lachey, best known as the singer of the boy band 98 Degrees and ex-husband of Jessica Simpson, married television presenter and former Miss Teen USA Vanessa Minnillo, 30, on the island in a quiet ceremony, albeit one filmed for a TLC television special. The couple, who had visited the island on holiday several times before, were united in their decision to choose Necker for their wedding. 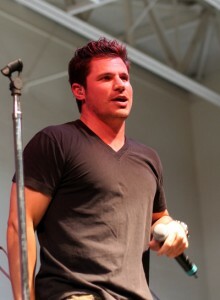 According to an interview with People Magazine, Lachey said that“ we both immediately thought of the island as the perfect place to have our wedding.” His new wife added, “We were on a boat, on vacation, passing the island and we both looked at each other and he said, ‘Yes!’ I was so glad he said what I was thinking. Nick saw it in my eyes.” How romantic!